Basic economic theory tells us that borrowing money in a currency with low interest rates should not yield a profit compared to borrowing in a currency with high interest rates. This is because the interest rate differential should simply inform us about expected exchange rate depreciations. But, when it comes to the City, does the theory stand? Has it ever? Do funds make money because they ignore the theory? 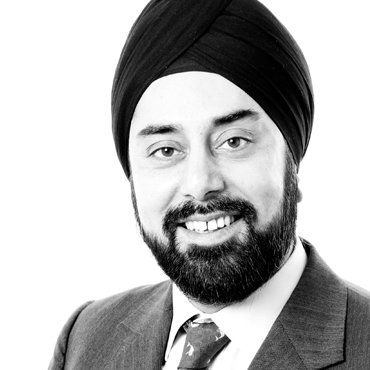 Jagjit Chadha was the Mercers’ School Memorial Professor of Commerce at Gresham College from 2014-2018 (now renamed Professor of Business). He is Director of the National Institute of Economic & Social Research (NIESR) and has also acted as an academic adviser to HM Treasury, the Bank of England and many policy-making institutions around the world. His main interests lie in macroeconomics, with a particular focus on monetary issues. Prior to taking up his position at NIESR in 2016, Professor Chadha was Professor of Economics at the University of Kent, a position he had held since 2007. At the University of Kent, he held the position of Professor and Chair in Money and Banking at the Department of Economics and he is a Visiting Professor at the University of Cambridge. He is also Chair of the Money, Macro and Finance Research Group and a specialist adviser to the Treasury Committee. Prior to this, he was Chief Quantitative Economist at BNP Paribas, where he developed analytical, calibration and econometric tools for modelling the macroeconomy and pricing bonds, asset prices and exchange rates. He has worked as an advisor and researcher at the Bank of England, working on monetary economics, in particular on the interaction of financial markets and monetary regimes. He has also acted as an academic adviser to HM Treasury and extensive policy-making institutions around the world. Macroeconomics forms Professor Chadha’s main research area, with a particular focus on monetary issues. His interests lie mostly, but not exclusively, with dynamic stochastic general equilibrium (DSGE) models in which he works on developing richer financial mechanisms in these models for example to incorporate money, bank behaviour, inventory and the term structure of interest rates. As a result of his time at the Bank of England and also at BNP Paribas he also has strong interests in the operation and function of financial markets and has an interest in understanding the informational herding behaviour of market participants. Professor Chadha’s intellectual history of the development of monetary practice is to be published under the title, Money, Monetary Policy and Central Banks: The Meeting of Art and Science. He is the author of The Euro in Danger, with Michael Dempster and Derry Pickford (Searching Finance, 2012). He is the editor of the ongoing series, Modern Macroeconomic Policy Making (Cambridge University Press) and also of Dynamic Macroeconomic Analysis, co-edited with Sumru Altug and Charles Nolan (Cambridge University Press, 2003). In addition to this, he is widely published in academic journals. All of Professor Chadha&apos;s past Gresham lectures can be accessed here. The so-called carry trade involves the practical violation of the theory that says that it is should be impossible systematically to make money from investing in high yield currencies whilst funding that investment in low yielding currencies. This is because the difference in yields ought to be a compensation for expected depreciation in the high yielding currency. If it is possible to make money systematically in this manner then it is rather like `pennies falling from heaven'. Now, economists are not known for their sensitivity or love of popular romantic songs. And it is certainly not my purpose here to surprise you. Clearly it would have been attractive to imagine pennies falling to the ground in the middle of a Depression and I do not think that any Keynesian irony was intended lyrics even though this this was the year the General Theory was published. Let us suppress any disbelief and imagine the implications of pennies falling to the ground: what would we predict would happen in an economy? We shall have a control and suppose that there are two identical houses with identically sized gardens with equally good neighbours, access to good, local schools, decent sunlight and all the other things that we might value. These two houses should cost the same amount, which should be something like the present value of the all the implied (imputed) rents (net any costs of maintenance) returned from holding the house over the course of its standing life. Now let us suppose that into one garden, the one on the left, 100 pennies fall every day of the year and into the other, sadly, there are no pennies. The house on the left has an additional income of £365 per year and £366 every leap year, which is equivalent to a perpetuity of £12,175 at an assumed annual interest rate of 3%. If the owner of the house on the left decided to sell her house, then buyers would bid the price up to exactly £12,175 more than other house - anything less would mean that any other new buyer would be willing to pay just that little bit more. This increase in the price of the house on the left is what economists call a no-arbitrage equilibrium, which does not imply that there has been no arbitrage but that there is no arbitrage left. The pennies were a windfall but one which increased the value of the house and meant that someone else had to pay more to live there. Now why might someone pay something different to £12,175 mark-up? Well it might be to do with any uncertainty in the situation I have described. What if the pennies falling indicate the presence of a giant who might eventually drop pennies on other nearby houses? What if we think pennies might dry up or may increase the rate of rainfall? What if we think that the interest rate we use to discount the flow might change? It is when we find that the actual price differential is more or less than £12,175 that the real fun starts in economics. And any form of carry trade involves the trader in thinking that she can sell this income stream for more than £12,175 or buy it for less that £12,175. Wishful thinking, accident, or genuine possibility? Let us see. It is this kind of puzzle that the success of the carry trade reflects. Some authors dispute the size of the carry trade (Curcuru et al, 2010) but most authors consider that it is likely to have been a very important driver of international capital flows. We would expect assets of equal risk and liquidity to give the same return in any common currency. So that a short term debt government debt instrument in the UK, which pays a sterling interest rates, should give the same return as an equivalent short term debt instrument in Germany when we allow for any expected fluctuations in the Sterling-Euro exchange rate. If, for example, the annualised interest rate on a UK short term debt instrument is 2% and the German interest rate on the corresponding asset is 1% then in order for us to be indifferent between the two, we must expect an annualised rate of depreciation on Sterling over the life of this instrument to be 1%. The UK instrument then yields 1% in Euro and the German instrument yields 2% in Sterling. And yet traders and researchers have systematically found that the higher yielding instrument pays more in a common currency than the lower yielding instrument and this phenomenon has been called the uncovered interest rate parity puzzle. In terms of our housing example, traders seem to be able to buy the income stream for less than £12,175 and sell it on for more. This is a puzzle because we would expect this excess return, if it is not some return for risk bearing, to be arbitraged away or if it does represent some risk that the holder of the higher yielding currency may be carrying we cannot quite seem to measure what the risk factors are. But even if these excess returns represent some reward for quantified risk, or even Knightian uncertainty, traders do seem to be subject to the concern that they `might be going up by the stairs and in danger of going down in an escalator' or that `they might be picking up nickels in front of a steamroller'. Two adages that encapsulate the concern that the returns rather than being pennies from heaven represent a return for providing liquidity services to risky borrowers, which may from time to time threaten to bankrupt the supplier of those services. Let me next develop the building blocks of this trade, then examine the empirical support, outline some explanations offered in the literature and finally offer some concluding thoughts. The building block of many courses on international finance is some invocation of the notion that identical goods should trade for the same price, like our two houses, ex any penny drops. Indeed the way we learn to price many complex assets is to break them up into components that have identical (perhaps near-identical) substitutes. If an identical good is traded in France and in England the price of that good in either country when converted at the exchange rate should be the same. So if I sell the good in England convert the resulting pounds into Francs, I should have just enough money to buy the same good in France. The trade is reversible, so that if I then sell the good in France, I should be able to convert the Francs into just enough Sterling to buy my good back. In this world, one where capital can move freely and where there are no significant transaction, tax or transport costs, the price of the same good is the same in either country in any common currency. In fact it is the role of the exchange rate to adjust in such a manner to ensure that this good has the same price in both countries. As many of us, when I go abroad I have one or two prices that I monitor to get an idea of the costs of living e.g. a coffee, a newspaper or the taxi ride from the airport. Indeed that newspaper of record, the Financial Times (FT) gives us a number of implied exchange rates from its cover price. I can look at the cover in Europe or in Asia and observe the relative price of the FT in various countries. It is interesting that the most recent weekend edition, the Greek price is 4 Euros and in Germany 4.50 Euros, which means that I could make a 12.5% gross profit on buying Greek FTs and exporting to Germany! In general, though, we find that the implied exchange rate on the cover price of the FT is not that far away from the actual spot over the same weekend: well done FT because if we scatter the implied and actual exchange rates we get something like a 45 degree line. Indeed we can generalise from this one good into some composite good bought in the right proportions to meet all our daily needs. A little bit of cereal, travel, coffee, newsprint, clothes, electronic gadgets can all be combined into this representative good and provided the items are traded we can expect this basket of goods to trade for the same price in the same way in any common currency. In this way we have some predictions or tendency about the exchange rate: countries in which this composite good trades more expensively than in the rest of the world will face downward pressure on their exchange rate and countries in which this composite good is cheap relative to the rest of the world will face some upward pressure. The idea is that those busy beavers, arbitragers, will be making profits by buying these goods in cheaper country and selling them to the more expensive country. The profiteers will stop when either the exchange rate jumps to equalise prices and/or the sticky goods prices themselves change to make the trade unprofitable. The exchange rate can jump and so offers a quick solution to the arbitrager, as rather than having to buy a complex, composite good this beaver can just hold the assets denominated in the exchange of any country in which the goods are cheap and wait for the profits to accrue. Let us now imagine that rather than holding a composite good, we hold an asset or piece of capital that yields a financial or currency return in terms of a number of units of that composite good. An identical piece of capital whether it is in country A or country B that yields the same number of units of composite goods at the end of each year will through the process of arbitrage be priced in either common currency to be identical. Let us now say that the composite good costs £1 in the UK and 2 Euros in France and that the price of the piece of capital is £10 in the UK and 20 Euros in France - if both bits of capital produce one unit per year, the domestic currency rate of return is 10% in both cases and the implied exchange rate is £1 to 2 Euros. Now if the French factory was expected this year to produce 2.5 Euros of composite good, our first thought might be that the firm has become more productive but on inspection we find that the still only one composite good is being produced. So the exchange rate has changed to £1 to 2.5 Euros. In the coming year the rate of return on Euro will be -25%, which means the expected return in Sterling on the French capital is now -15% and therefore we sell the French asset until the price falls to the point at which the Sterling return is back to 10%. In this case the price of the asset will fall to 7 Euros! We find two truths hidden here. First, asset prices will tend to adjust to equalise expected returns in identical assets and that asset prices are very sensitive to changes in the depreciation risks. Have priced in expectation, we now wait in hope. If the exchange rate depreciates by the expected amount, we make no more profits than we would have done with the Sterling part of the business. If the exchange rate depreciates by more or less from time to time we sometimes make more and sometimes make less but on average we make the same. And if we are sensitive, or intolerant, to this variation in our Euro earnings, we might want a risk premium. The odd thing though is that the exchange rate regularly or systemically does not seem to fall in countries where the interest rates or rate of return are higher than one in which they are lower. Indeed in a series of famous papers in the 1980s, many researchers found than rather than a positive interest rate differential indicating the risk of exchange rate depreciation, the exchange rate tends to move in a random manner. That is its future movement, rather like other asset prices, could not be predicted on the basis of any information we had today. Now if I happen to be someone interested in making profits in finance, these two observations are of great interest. Because they tell me that currencies which have high interest rates may not systematically depreciate and so have a high probability of making me some money. Many researchers have examined the extent of the returns from a carry-type trade. Burnside et al. (2008) is typical and they find that over a period of mostly floating rates and capital account liberalisation, 1976--2007, a monthly carry trade portfolio, up to 20 currencies, earned an average annual excess return of about 5%. This significant return is smaller than the average excess return on the stock market over this same period of around 7% and we examined the equity risk premium in the previous lecture. But the carry trade returns seemed to be much less variable than equity returns, with an annualized standard deviation of about 5% compared to 15% for equities. The way to compare returns across different portfolios is to divide the excess return over the risk-free interest by the standard deviation portfolio returns, which gives us the return per unit of risk and is called the Sharpe ratio. We can see that the Sharpe ratio of the carry trade is double that for equities and hence very attractive. Let us replicate this result in a simple way, as a cross-check. The Bank of Japan started the craze for ultra-low policy rates in the 1990s and so we are going to borrow in Yen every month, change the Yen into New Zealand Dollars and get paid the market interest rate for the month. At the end of the month we will remit the NZ Dollars back to Japan in Yen, pay off our debt and gauge the percentage return. There are a number of wrinkles I could undertake for this exercise, for example, I could start the trade in US$, and buy Yen and then remit any profits back into US$ but the profits or losses would be subject to Yen-US$ exchange rate risk. That said I could also hedge my monthly Yen-New Zealand exposure by buying forward sufficient Yen to pay back Yen debt at the end of each month. In this latter trade the forward exchange rate would be priced exactly according to the interest rate differential. First, let's look at the time series of short term interest rates in Japan and in New Zealand since 1994 and we can see that NZ interest rates have been consistently above those of Japan, which means if uncovered interest rate parity held we consistently expected the NZ exchange rate to depreciate against the Yen, so that the return in either common currency was equalised. We can then simply scatter the subsequent movement in the exchange rate against the interest rate differential and if the theory is right we should see a tight distribution on the 45-degree angle. Oh dear! Not only is the relationship not positive - which means that you accept some exchange rate risk from holding the higher yielding currency, the lack of any relationship suggests that can you expect to make the interest rate differential as a profit on average in Yen terms. From 1994-2015, the average monthly return was 0.64%, with an average monthly interest rate differential of 0.44, the Yen actually depreciated on average by 0.2% per month! Let us move forward in time to the period of ultra-low interest rates in the UK, USA, Euro Area and, still, in Japan. And examine a similar trade where we fund in the low interest rate currency and buy another high yielder, Australia. Indeed Australia seemed relatively immune to the global financial crisis and there were headlines last year as the country seemed ready to rack up its 26th consecutive year of positive economic growth, which is remarkable - and even longer than their typical grip on the Ashes. The return from trades funded in GBP, US$, the Euro or the Yen are in the range of 0.3% to 0.7% per month with a standard deviation of 3-7%. Whether we look at the exceptional times in Japan or in the QE period for UK, US or Euro this trade seems to make money. Why? The failure of UIP is the main motivation for the carry trade in currencies. And as researchers tend to term this failure an `excess return', I shall follow suit. What they tend to mean by excess return is simply a percentage return on an outlay that is in excess of that which can be obtained by a risk-free asset. Normally such an excess return is related to the risk of that asset and so is priced in a rational setting to give a risk-adjusted pay-off that is the same as the risk-free asset. So what risks do we carry when we hold a high yielding currency? We have already tried to understand risk and the rewards required for holding risky assets in previous lectures (see Chadha, 2015). Essentially, an asset that co-varies positively with risk factors can be expected to have a positive excess return. The equity risk premium says that the excess return on equities equals a term in risk aversion and one in the covariation of the return with the risk factor. So if the carry trade were some way of providing consumption units in an advanced economy, we would want a positive excess return if the excess returns were positively correlated with consumption growth. As there is no evidence, yet, of systematic correlation with consumption growth or other risk factors, the excess return looks hard to understand in terms of risk, per se. A related idea is that the excess return represents the payment of an insurance premium on which there has been no need to collect yet. Let us suppose that the higher yielding currency is subject to frequent but irregular exchange rate crises - in order to hold that currency we would to require a higher return that for a currency that did not periodically show fragility. An topical analogy, sadly, would be the insurance premium to be paid on a house built on a floodplain, which is subject to extensive flood damage not every year but once in a while and in a random manner. The insurance premium on such a house would be higher than that on an identical house built off a floodplain. The accrual of higher premia would equal the expected value of the costs of repair following a flood. And so, until the flood, the insurance company would appear to be making higher returns from the insurance premia on these houses. The idea is similar to that of disaster risk. So might the carry trade represent a reward for funding a risky country? We can look at this question, very loosely, by examining the skewness of currency returns. If the returns in a currency are not symmetric and tend to have a long tail to the left hand or negative side there may be a case for demanding an extra return to offset this left hand, or negative risk. We can examine the monthly returns from the Yen-New Zealand dollar exchange rate to get some clues as to the skewness (left or right dominance in returns) or whether the returns have particular weight in the extreme value, so-called fat tails. And although we do find some evidence of left skew and fat tails it does not seem large enough to justify the extent of the excess return. We seem to be being compensated more than handsomely for taking just a little risk, which implies that countries that receive funds are paying over the odds for them. But it might be that once-in-a-lifetime-type disasters may not be captured by relatively short spans of data. If we place a non-zero probability on an event but it is not observed in our dataset, it will look like if we use the data for verification that we are being irrational when we calculate odds. The idea of small chances of large loss possibilities became known as peso problems in economics, reflecting the experience of the Mexican peso whilst pegged to the dollar in the 1970s. We had our own examples of peso problems in the ERM, and indeed in the UK's case it did take very long for expectations of a large depreciation to be ratified by `Black Wednesday'. Financial frictions may help us further understand the lack of full arbitrage. In a frictionless world, we may expect the interest rate differential to predict exchange rate depreciations. This expectation implies that at the point of an interest rate differential developing, the exchange rate in the country with the higher interest rate should jump up to the point from which it is subsequently expected to depreciate. But if investors cannot liquidate their portfolios in sufficient quantities to buy the currency immediately, the currency may appreciate gradually rather than immediately and during this glide path of gradual appreciation, there is money to be made. To the extent that there is persistent interest rate news and ongoing liquidity constraints, financial frictions may help us understand the puzzle. It might then also be that the profitability of such trades might be negatively impacted by any increases in financial volatility or uncertainty, as measured by the VIX index of volatility in returns from the S&P 500 or other such indices. And any tightening of bank funding conditions, as suggested by elevated interbank lending rate or the spread between interbank lending rates and T-Bills, the so-called TED spread may also have some explanatory power for the carry trade. If symmetric then reductions in uncertainty, volatility and funding costs may explain some of the ability to exploit any gradualism in asset price adjustment. Presumably if these market conditions were sufficiently fluid so as to eliminate effective frictions, then exchange rate adjustment would be immediate and carry trade profits would not persist. Indeed, it may even be the case that non-financial corporations in high yielding countries may choose to borrow in low yielding currencies in order to build up cash holdings and possibly intermediate these funds domestically (Bruno and Shin, 2015). In this sense it would appear that they are undertaking a carry trade but informational or other types of frictions may prevent all agents from undertaking such trades and this may leave excess returns in place. Such trades will also be highly correlated with liquidity and borrowing conditions in the low interest rate, or funding currency. There is an analogue of such interest rate differentials when we examine the position a country's current account as the sum of the trade balance and net international investment income. Countries such as the UK and the US typically earn a higher rate of return on their FDI assets than they have to pay on their FDI liabilities and this tends to support the current account positions. But changes in the relative rates of return can lead to significant changes in the current account position (see Lane, 2015). And indeed these deviations from uncovered interest rate parity can be shown to play a very important role in explaining current account variation over the business cycle compared to more standard explanations such productivity and demand shocks (see, Bhattacharjee et al., 2010). Monetary policy may also play a role (See, for example, Backus et al., 2010). Let us imagine a high yielding country facing an expected depreciation against its low yielding funding currency. The central bank in the high yielding country could do nothing and let the currency depreciate, which would make the financing of any foreign currency debt more expensive or it could decide to respond to the expected depreciation with tighter than anticipated monetary policy. If future monetary policy systematically tried to offset expected depreciations then it might be that the high yielding currency may give a positive excess return in the funding country's currency. We thus have several types of explanation. From some unaccounted-for-risk to some unaccountable risk. To perhaps some notions that the profitability of these trades may reflect financial frictions faced by traders or the real economy. We might also imagine that persistent errors in pricing might be the result of policy action in acting to offset expected depreciations. We have a puzzle and are inching towards a solution from several dimensions, and yet profits still seem to be being made in Mayfair! We may be familiar with the term, exchange rate disconnect, and this puzzle is one of the reasons. The term means that we simply cannot understand exchange rate movements in terms of macroeconomic, monetary and financial factors. One answer is to hold our hands up and say that is what we should expect for an asset price which follows a random walk but in this world there seems to be problematic, unexploited profits available. Perhaps we also need to look at the puzzle from the other side? The expectation of depreciation in the high yielding currency has as its analogue an expected appreciation in the low yield currency and this currency may be thought of as a safe haven currency. One might imagine that such currencies typically belong to low risk countries with no default history, where markets and deep and liquid (which can be a great boon in times of crisis) and that are both open to global capital and yet, perhaps perversely, relatively immune from shocks (See Habib and Stracca, 2011). And yet as the puzzle suggests there is no systematic evidence that particular safe havens consistently exist, which means it may be quite possible to borrow in a low interest rate economy and not face systematically an actual appreciation in the nominal value of your debt. In this sense not all low interest rate economies are less risky, even in the world of capital mobility. One can imagine that in a world that is short of risk-free or less risky assets, many currencies may benefit from a low risk rating when they are actually risky. An obvious example notes themselves, which are risky because they give no pecuniary return but are held for liquidity reasons. Perhaps the funding currencies themselves are just like cash money and held for the value of exchange alone. If I were to guess at an answer, it is the absence of some assets, which distorts returns on others, and the premium that is paid for the lack of financial development that lies at the heart of this bit of capitalism. Has the penny dropped yet? Backus, D. K., F. Gavazzoni, C. Telmer and S. E. Zin, (2010). Monetary Policy and the Uncovered Interest Rate Parity Puzzle, NBER Working Paper No 16218. Bhattacharjee, A., J. S. Chadha and Q. Sun, (2010). Productivity, Preferences and UIP Deviations in an Open Economy Business Cycle Model, Open Economies Review, 21(3), pp365-391. Brunnermeier, M. K., S. Nagel and L. H. Pedersen, (2009). Carry Trades and Currency Crashes, NBER Macroeconomics Annual, Volume 23, Chapter 5. Bruno, V. and H. S. Shin, (2015). Global Dollar Credit and Carry Trades: a firm level analysis, BIS Working Paper 510. Burnside, C., M. Eichenbaum, I. Kleshchelski and S. Rebelo, (2008). Do Peso Problems Explain the Returns to the Carry Trade? NBER Working Paper No 14054. Chadha, J. S., (2015). The Equity Premium and Low Interest Rates, Gresham Lecture, 26th November 2015. Curcuru, S., C. Vega and J. Hoek, (2010). Measuring Carry Trade Activity, Board of Governors of the Federal Reserve System mimeo. Habib, M. M. and L. Stracca, (2011). Getting Beyond Carry Trade: What makes a safe haven currency?, ECB Working Paper 1288. Lane, P. R., (2015). A Financial Perspective on the UK Current Account Perspective, National Institute Economic Review, No. 234, ppF67-72. Meese, R. A. and K. Rogoff, (1983). Empirical exchange rate models of the seventies: Do they fit out of sample?, Journal of International Economics, 14(1-2), pp933-48. I have always enjoyed Billie Holiday's version, with Benny Goodman on the clarinet and Ben Webster on tenor Saxophone, what's not to love? Simply we price the perpetuity as 365.25/0.03. Obviously the house may not stand for ever but let us assume the pennies will always fall on its ground! This relationship is called uncovered interest rate parity. And the expected interest rate differential is used to price the forward contracts for foreign exchange under covered interest rate parity. The international finance literature calls this the law of one price, a phrase that I loathe to use but the language has been set. And researchers tend to search for purchasing power parity across tradeable goods as an equilibrating device for the exchange rate: the evidence is weak. Meese and Rogoff, 1983 is one of the most well-known. We could in principle reduce the standard deviation quite considerably by looking at a portfolio of currencies. Here we are looking at bilateral spot returns. And here the literature suggests that what seems to matter is the net foreign asset position as a key determinant of safe haven status, which does not augur well for the UK or the US but does mean that we ought to fund our carry trade in these currencies. Why Doesn't Capital Flow From High To Low?